Highpoint Tool and Machine does Precision Machining for the aerospace and oil & gas Industries, using the latest CNC equipment and high technology tooling. 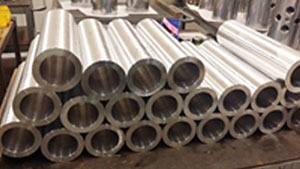 We precision machine components to customer designs from stainless steel, inconel, aluminum, titanium, carbon steel, cast iron and engineered resins/plastics. Highpoint’s machining processes are controlled by our registered ISO 9001:2008 quality system. Our experience integrating our customers quality requirements from material procurement through post processes and delivery gives us the added capability of providing the documentation package you need to satisfy your traceability requirements. The career minded precision machinists at Highpoint are excellent at what they do every day, and their pride shows in the components they produce for our customers. 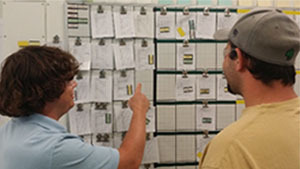 Each machinist is involved in our continuous improvement program, constantly learning new technologies and sharing with co-workers. 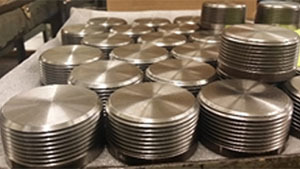 Highpoint’s quality reputation is second to none, and we have now developed a proprietary Visual MRP system which has earned us an on-time delivery reputation previously unheard of in the precision machining industry. A company uses a mission statement to maintain focus and keep all continuous improvement efforts consistent. Here at Highpoint our mission statement also reflects our belief that our employees carry equal weight as our customers when addressing corporate concerns and direction. Every Highpoint employee is a professional and his/her future is considered equally with that of the customer and company. The content of our mission statement is what drives our company, it is what we are trying to achieve, every day. Highpoint Tool and Machine will partner with our Customers, providing them with perfect quality products and services, delivered exactly when they want them. Our employees will enjoy coming to Highpoint every day, constantly learning and improving processes, while satisfying their own personal career goals.